A colourful maritime epic, Reap The Wild Wind has a bit of everything but not much of anything. It's the 1840s, and Key West, Florida is a key marine gateway to the United States. Vessels frequently wreck in the rough seas, and salvage operators rush to rescue sailors and retrieve cargo. Rough and ready Loxie Claiborne (Paulette Goddard) runs a legitimate salvage company, while her rivals King Cutler (Raymond Massey) and his brother Dan (Robert Preston) are more interested in causing wrecks for profits. As a further complication, Dan is secretly in love with Loxie's cousin Drusilla (Susan Hayward). The Cutlers' chicanery causes the ship captained by Jack Stuart (John Wayne) to wreck. Loxie rescues Jack and they fall in love. He dreams of captaining the Southern Cross, a modern steam boat owned by shipping tycoon Commodore Devereaux. Loxie travels to Charleston and flirts with Steven Tolliver (Ray Milland), Stuart's rival and Deveroux's influential second-in-command, to try and secure the Southern Cross command for Stuart. Instead, Tolliver falls in love with Loxie. Tolliver travels to Key West to investigate the Cutlers, heating up the love triangle but also forcing Tolliver and Stuart to cooperate to try and stop the escalating series of shipwrecks. 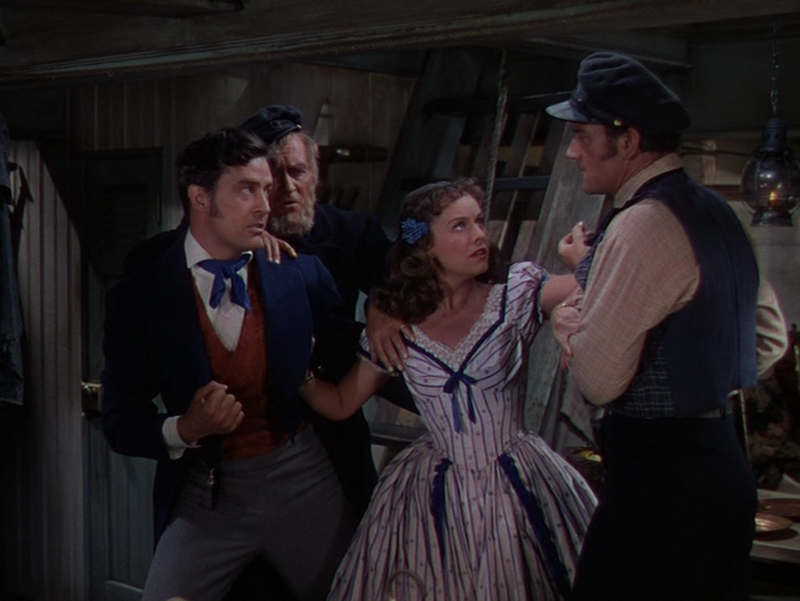 Produced and directed by Cecil B. DeMille, Reap The Wild Wind is a bright, boisterous, and busy adventure. The story hops between the hustling port of Key West and the much more refined and civilized Charleston, with frequent sailings out to sea to experience the world of cargo ships in rough waters and the salvage crews who either provide assistance or prey on misfortune. The production values are high, the screen pops with colour, the costumes are lavish, hordes of extras populate every corner of the screen, and the sets and special effects are state of the art for the era. With no shortage of characters and events, the film breezes through the two hours of running time, and DeMille somehow contrives to end his epic with a dangerous underwater dive featuring a massive angry squid, but only after the film takes a substantive detour into courtroom drama territory. The romantic triangle and underhanded business alliances crackle away as DeMille alternates between affairs of the heart and cut-throat underhanded double-crosses. It's all happening all the time, not a surprise given that Reap The Wild Wind is based on a newspaper serialization. The film benefits from the brisk fun factor, and also suffers from the consequent lack of depth and any sense of lasting substance. Loxie is in the middle of everything, an irrepressible independent woman well ahead of her time in a man's world. and Goddard injects the necessary energy to allow Loxie to drive the film ever forward. The men are more troublesome and less worthy, rendering the romance moments more irritating than engaging. 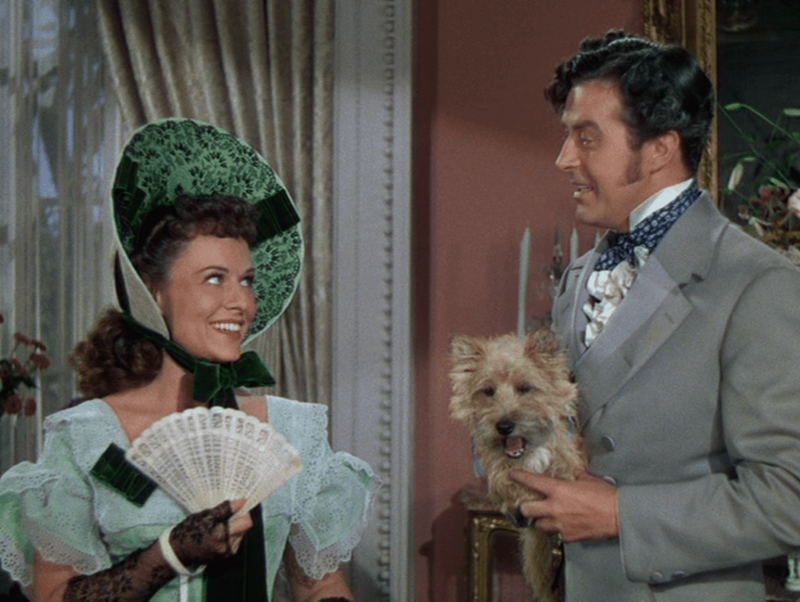 Ray Milland as Tolliver is foppish, bland and abusive, and worst of all attached to silly dog ventriloquist tricks. John Wayne as Stuart is sturdy but maybe none too bright, and the fistfights between the two men erupt all too predictably. Reap The Wild Wind is undoubtedly entertaining, and just as definitely sailing in shallow waters.